International work experience through Global Experiences can also become part of your university degree. We have several ways for interested students to earn college credits: through your home institution, our school of record, or specific location-based opportunities. Students can now intern with Global Experiences and receive the full summer / semester weight of credit! Students can receive 3 - 6 credits in the summer or up to 12 in the semester.! This is done through credit-bearing internships and on-line coursework. See the course offerings and overview syllabi below. GE is happy to share more detailed syllabi (including a week by week planner) to students and advisors. While there is an additional fee for the credit, it is typically less than at your home institution. The internship provides students with the opportunity to gain experience in workplace settings and to translate classroom learning into practice. The internship is a substantive career development experience. Contributing to decision-making and communicating meaningful ideas while applying learned skills to accomplish the goals of the organization should form the bulk of the work while being mentored by individuals specific to the participant’s primary intended career field. This course is a combination of contact hours of internship combined with journaling, graded reflection pieces and assignments. Offered as transfer credit through Experiential Learning. By the end of this course students will be better prepared to enter the global workforce as leaders in their career fields. This course is intended to help students gain an understanding of the Attributes Employers Want to See on New College Graduates’ Resumes as defined by industry assessment conducted by the World Economic Forum. Learning and developing these attributes will increase students’ marketability to future global employers, contribute to their leadership capacity and their ability to attain professional success in a global economy. Students will learn to identify culture, cultural differences and how to navigate a multicultural workplace. They will build their own intercultural competence in terms of their own awareness, skills, and knowledge as a necessary basis for learning about communication in the global workplace, especially as it may be applied to their host country and their individual internship experience. Students will have the opportunity to identify underlying cultural concepts and how these impact workplace practices and communication so that they may develop their own competencies in the workplace and apply these new understandings to their own internship experience. Does your university offer academic internship credit for your degree? If they do and you’re seeking credit for your internship, you’re all set! Work with your GE adviser and university academic adviser to confirm exactly what is required for the assessment of your internship. Your school may already be partnered with Global Experiences! Find your school in the list below and view the landing page for your university program. Calling all fashion, art and design students! 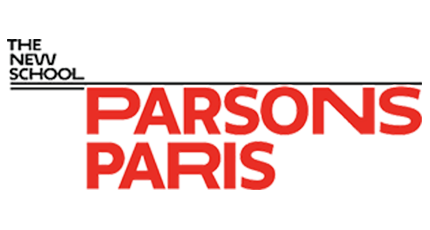 Join the world famous Parsons Paris program and earn 3 credits for your internship with Global Experiences. Students will intern full-time for 8-weeks over the summer, in placements ranging from fashion business to fashion journalism or public relations to art galleries. All inclusions are identical to our existing program, adding on the Parsons internship course with a transcript upon completion. Find out more here, or consult with your Global Experiences advisor.